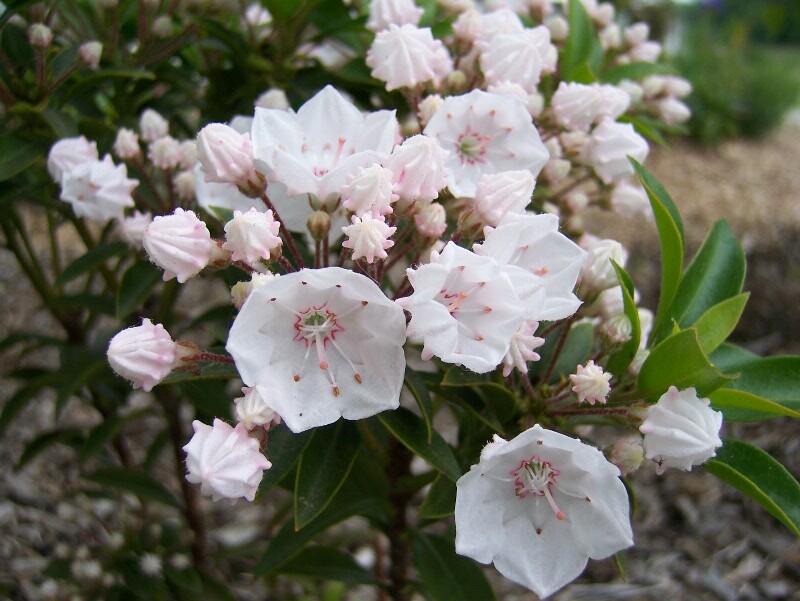 I planted this in the foundation bed at my last home: Kalmia latifolia Elf – Dwarf Mountain Laurel. © SonyaJMills. Thanks for stopping by my slice of the internet.